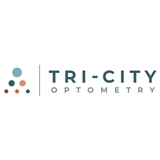 Tri-City Optometry (Fremont) - Book Appointment Online! Our practice is dedicated to exceptional vision care to patients of all ages. We treat every patient with state of the art eye care and and appreciation. Our expertise -- combined with innovative technology, superior customer service, and trendy eyewear -- offers you an eye care experience like none other. In addition to routine eye exams, we offer expertise in hard to fit contact lenses, Kerataconus, CRT, vision therapy, and LASIK co-management.